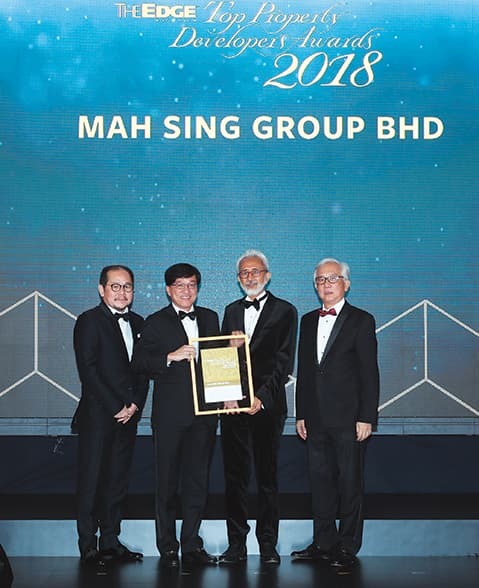 Mah Sing Group Bhd’s vibrant headquarters provided a good complement to the spirit of camaraderie seen during a photo session with group managing director Tan Sri Leong Hoy Kum and his son, Lionel Leong, who is director of group strategy & operations. The newly renovated workspace, dubbed [email protected], is part of the company’s transformation programme to stay competitive and relevant in the ever-changing marketplace. 47 projects across Malaysia in 24 years. Of the projects — located in Kuala Lumpur, Greater KL, Penang, Johor and Sabah — 15 have been completed. The developer has since sold about 39,000 units. 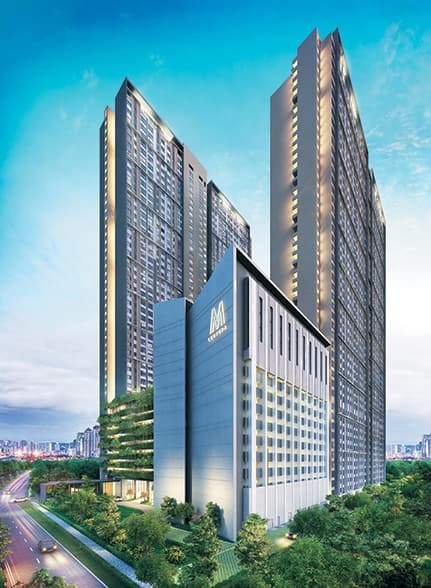 Mah Sing has consistently ranked among the top 10 in The Edge Malaysia Top Property Developers Awards since 2010. This year, it won The Edge Malaysia Affordable Urban Housing Excellence Award for its Savanna Executive Suites @ Southville City project in Bangi and scored a merit under The Edge Malaysia-PEPS Value Creation Excellence Award for its Alpine @ M Residence 2 development in Rawang at The Edge Malaysia Property Excellence Awards. “The competition among property developers in Malaysia is very tough, which is good for the market. It is because of such competition that we are pushing ourselves to improve and help Mah Sing grow,” says Leong. 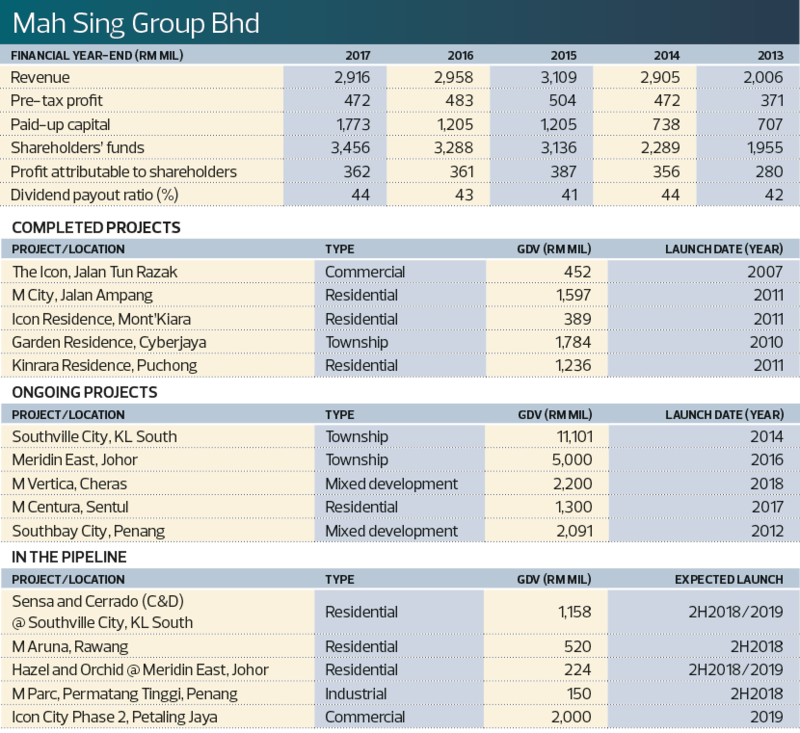 As at June 30, Mah Sing had a net cash balance of RM967 million. 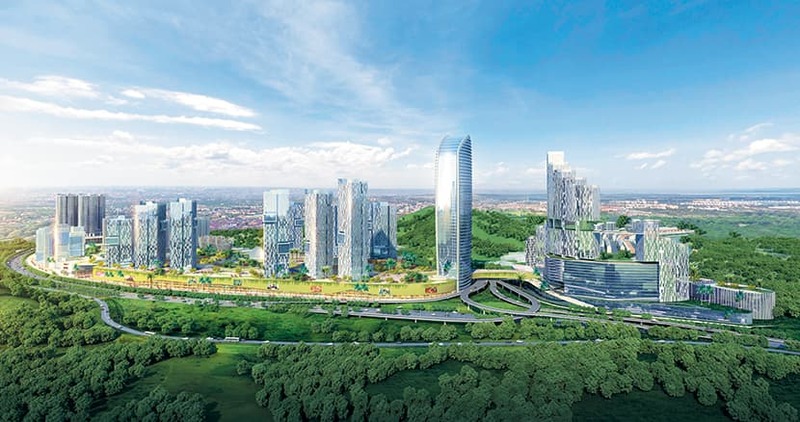 The developer has been busy with its ongoing projects in Kuala Lumpur (M Vertica in Cheras, M Centura in Sentul and Lakeville Residence in Taman Wahyu); Greater KL (Southville City in Bangi and D’sara Sentral in Sungai Buloh); Johor (Meridin East in Iskandar Malaysia); and Penang (M Vista @ Southbay and Ferringhi Residence 2). 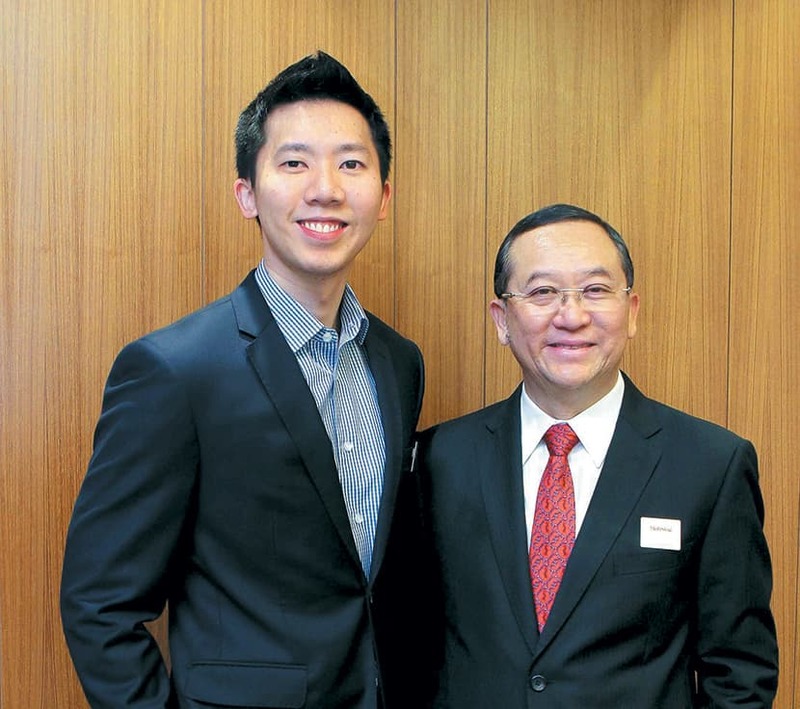 Leong and Lionel talk to City & Country about the company’s direction and future plans. City & Country: What would you say about Mah Sing’s performance in the past 12 months? Tan Sri Leong Hoy Kum: In the first half of the year, we registered sales of RM942.1 million and are on course to achieve our sales target of RM1.8 billion. As the government is focusing on affordable housing for first-time homebuyers, we are moving in that direction ... 74% of our targeted residential sales this year will be units priced below RM500,000 each. To drive sales in Johor, we have formed strategic partnerships with EduCity Iskandar Malaysia, Netherlands Maritime Institute of Technology and i2M Ventures Sdn Bhd. 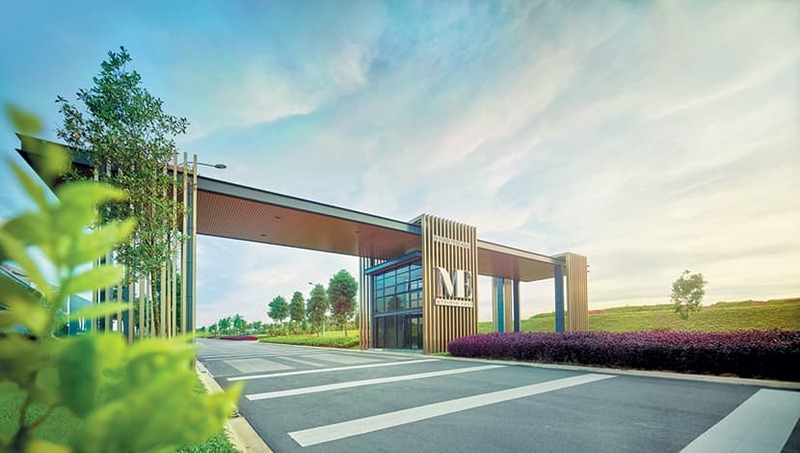 Meridin Bayvue to the Johor Baru East Coast Highway as well as a road connecting the Meridin East township to Tanjung Langsat and Pasir Gudang. Lionel Leong: We have also carried out a pilot project using the Industrialised Building System at our M Aruna township in Rawang. Aster, which comprises 2-storey houses, was built using this technology, which cuts down on the use of timber during construction as well as reduces construction time and wastage, leaving a cleaner and safer building site. What else has Mah Sing been doing? Leong: We made our maiden foray into the hospitality sector in July with the soft launch of Ramada Meridin in Johor Baru. We believe the hotel business is part and parcel of commercial developments that can enhance the community. The Mah Sing Foundation raised RM6.63 million this year. As we believe children play an important role in shaping the future, we are focusing on education and uplifting the lives of underprivileged families and rural communities. We are working with non-profit organisations such as MyKasih and Hopes Malaysia on such programmes, rather than just donating money. Lionel: Last year, our D’sara Sentral project clocked over four million safe man-hours and was awarded four stars under the Safety and Health Assessment System in Construction by the Construction Industry Development Board. We have also been prioritising training and talent development. We recorded over 22,500 hours of training for employees — an average of 18 hours each. On top of that, our senior management has been attending leadership courses. We are developing our employees for the long term. How has the current market sentiment affected the company’s business? Leong: The current sentiment is all about pricing. We have to plan our products well from day one ... in the right locations with good accessibility and at affordable prices. We have to be cost-efficient but not at the expense of quality, which is workmanship. Our affordable products are all in strategic locations. 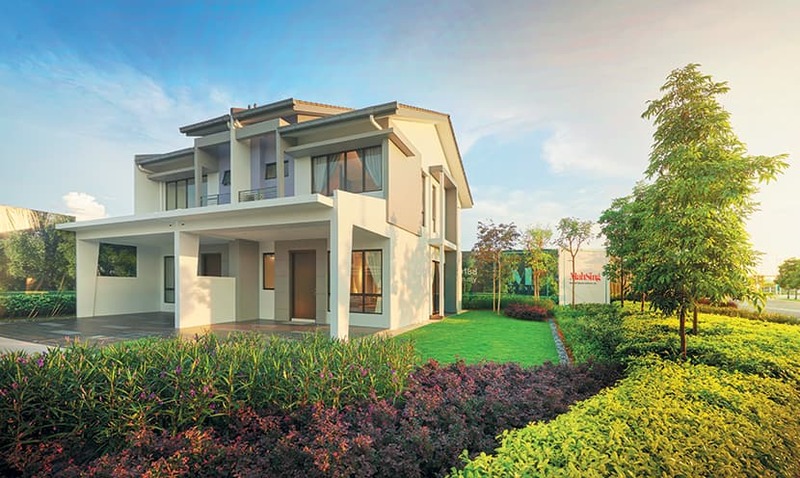 The starting price is RM300,000, which is for a 650-sq-ft, 2-bedroom apartment. I believe the property market performs in tandem with the nation’s economy, which is why we started developing affordable homes in 2015. We are optimistic that the government will relax the lending guidelines to enable more small businesses and first-time homebuyers to secure loans. We have also launched the Desire campaign to help buyers looking for ready-to-move-in homes or workspaces. Due to popular demand, the campaign has been extended to December. Lionel: One of the challenges we are facing is getting the government to understand that young people — who are our target market — are looking for homes located close to spots with vibrant communities. While trying to find a pricing equilibrium to cater for that market, we have to ensure that the locations are desirable. In your opinion, what sets Mah Sing apart from its peers? Leong: What makes us different is that we have a full range of products. We are like a one-stop centre that caters for all needs in terms of property type, price and location. Lionel: We have been in this industry for 24 years and we learnt along the way. So, we have a strong conviction not to repeat our mistakes. What are your business strategies? And do you have a succession plan? Lionel: Apart from embracing the digital revolution, we are also constantly looking out for emerging industries that are related to lifestyle ... we can learn a lot from start-ups. This will help us get to know the behavioural trends of the younger demographics ... 70% of our customers are below the age of 40. For example, our Arts & Lights event attracted more than 65,000 people from all over the country. Leong: I want to leave a good legacy. Leadership is the core of our business. We have a council that identifies talent within the company and trains them to be future leaders. Also, all my children are with me and I am very heartened to see that they are willing to learn to become the next generation of leaders. Lionel, who has joined me for almost six years now, is in charge of strategic planning, with the help of senior executives ... they are serious and committed to running the company professionally. Where do you want to take the company with regard to branding and growth? Leong: Our new tagline “Reinvent Spaces, Enhance Life” reflects our commitment and the way we position ourselves in the market ... by constantly developing and reinventing quality products. We believe in enhancing the lives of our customers and making a positive impact on the community. Lionel: I think what Tan Sri said about enhancing the lives of our customers and making a positive impact is something that we need to live and breathe as a group. That is what should drive us to come to work every day. We are also exploring digital ventures in the property business, especially on how we can deliver a seamless homeownership experience. For example, we have launched the My Mah Sing app to make it convenient for our purchasers to communicate with our customer service and property management teams as well as get updates on their properties, among others. What is Mah Sing’s focus this year and what can we expect to see next year? Leong: We are focusing on affordable housing this year and the next. We want to be the leading developer of affordable homes in the country. Our focus will be on Southville City, M Vertica, M Centura and the M Aruna township. We are also looking at landed developments in Seberang Perai and industrial parks in Bukit Mertajam. On land banking, we will focus on Greater KL and Selangor. We still have 2,115 acres of land, which will keep us busy for 8 to 10 years.